Underground is WGN’s new breakout series about a group of "slaves who plan a daring escape from a Georgia plantation to cross 600 miles to freedom." With only four episodes in, Underground has proven to be unlike any other slave narrative we've seen on screen. The series, which is co-produced by John Legend, also features an ensemble cast with actors like Aldis Hodge (Noah) and Jurnee Smolett-Bell (Rosalee), who may be in their biggest, most influential roles to-date. It also has a bevy of talented breakout stars such as Amirah Vann (Ernestine), Jessica De Gouw (Elizabeth) and Johnny Ray Gill (Sam). Also, let's not forget Law and Order: SVU hero Christopher Meloni (August). In a climate as vile and violent as slavery, it's impossible to think that something as beautiful as love could grow. But on Underground love not only grows, it thrives. Images of husbands loving their wives, mothers loving their children, friends loving one another, and new romances beginning remind us of the humanity inherent in every slave. Watching the sacrifices they willingly make to protect that love will shake your soul. Rosalee (Jurnee Smolett-Bell) and Noah (Aldis Hodge) will emerge as your new favorite OTP as they put a whole new meaning to "on the run." Although Underground paints a distinct picture of slavery's violent crimes against humanity, its focus remains on showing how these humans fought back. That resistance does not come in a one-size fits all uniform. Every slave isn't for Noah's runaway plan – they are all fighting back in the way that makes sense to them. Through these various forms of resistance, Underground shines a light on the intelligence, ingenuity and creativity which is often erased in the discussion of slaves and their attempts at liberation. Underground presents a dynamic sort of intelligent, strong, complicated women who do more than pick cotton and manage the big house. These women are forging freedom papers, opening their homes to runaways and protecting their families at all costs. There's beauty and pain in their strength, their courage and their intelligence. The role of women in the fight for freedom is neither downplayed nor erased in Underground, it’s positioned as one so formidable that the idea of liberation without women’s ingenuity is inconceivable. Underground's use of contemporary music is the bridge that connects the past to the present. It's a reminder that these stories we're watching unfold are more than footnotes in history, they were actual events with warm-blooded humans who experienced the emotions we feel today. It's no secret the divisive techniques slave masters used against slaves. 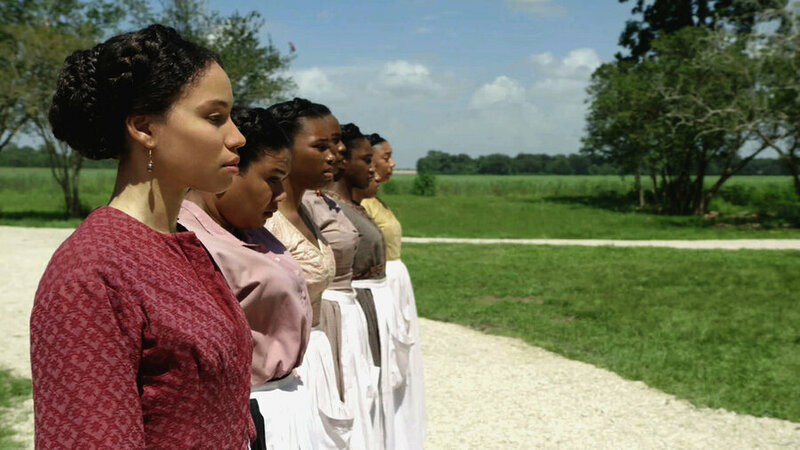 Underground delves into colorism, house slave vs field slave, favoritism, etc. all of which have instilled enough defenses for each slave to be weary of trusting the other. But they soon realize that their quest for freedom will only be conquered through working together, illustrating the "I am because We are" philosophy. The strength of this commitment cannot be broken, even when a few manage to escape ahead of schedule they are determined to return and bring their fellow men and women to freedom. Even though we're only a few episodes into the 10-episode season, we're already hoping that Underground can return for a second season or a spin-off series! Underground airs Wednesdays at 10 p.m. on WGN. What do you like most about 'Underground?' Let us know in the comments & share this article on Twitter and Facebook!